I will talk about my first start as a Razorback for the rest of my life. 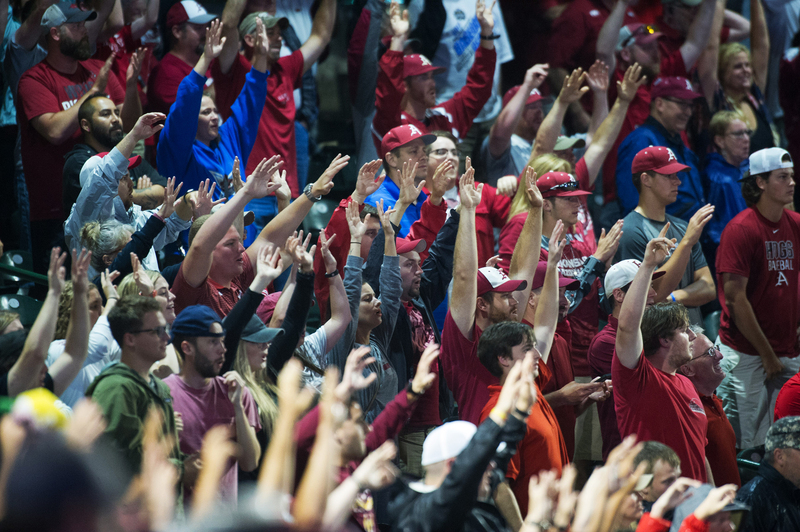 To hear 10,000-plus fans strong Calling the Hogs and having your back like that. I can’t imagine what the other team feels like. Now, I want to hear that Hog Call in Omaha! I think back to that first start I had against Central Michigan in 2016 and the feeling was indescribable. When something like that is a goal that you’ve had for your whole life, you try to soak it in as much as possible. My heart was pounding out of my chest and those butterflies don’t go away. The fans are the reason I still get butterflies. You feel like you’re on cloud nine. I grew up in Bryant, Arkansas, living and breathing everything about the Razorbacks. I came to all the games I could get to as a kid. Even when I was little, I thought it would be so cool to hear a Hog Call as a player on the field. My love for baseball came from my great-grandfather, who played professionally for the Pensacola Flyers, which is now part of the minor league organization for the Cincinnati Reds. Growing up, he would hit me groundballs when I was barely able to walk. My dad played for a while when he was growing up and now my brother is getting to play too. Baseball is in our blood. My great-grandfather was the one that taught me to have a blue-collar mindset. Back then, they didn’t play for money, they played because they loved the game. That’s what this game should be about. Our fans have the same mindset. 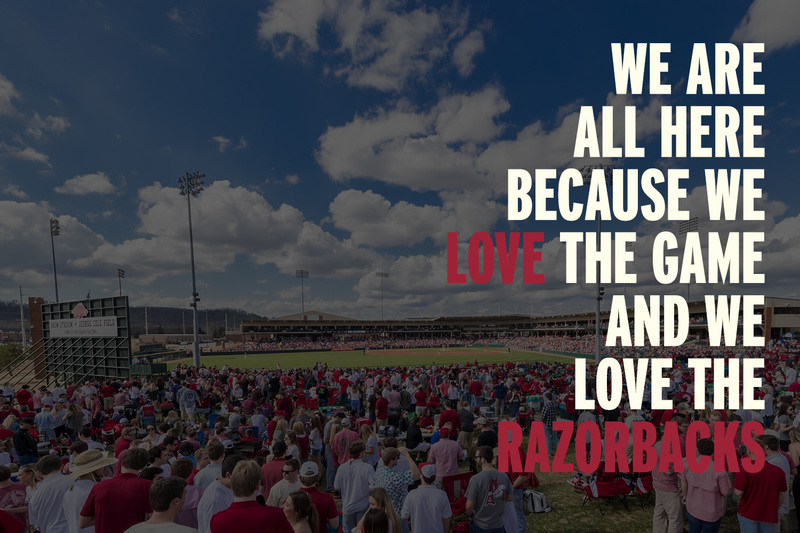 We are all here because we love the game and we love the Razorbacks. 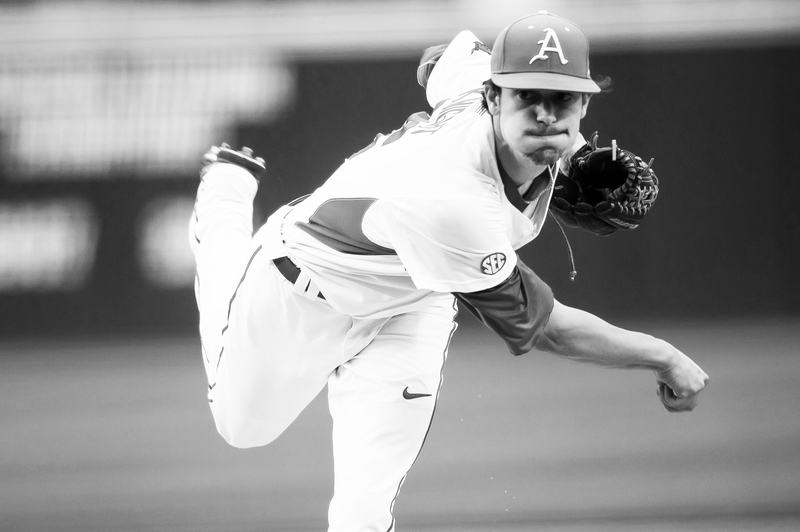 Arkansas Baseball is blue-collar baseball. We go out there and put our nose to the ground and go as hard as we can until the job gets done. My teammates and I use the phrase “grind it out.” We’re going to get the job done, no matter how long it takes or how hard it is. As I think back to the recent weeks since the season ended, I felt like that this team has some unfinished business. Having our season end on our home field when we were so close to getting to the Super Regionals put a bad taste in our mouths. We were able to prove to ourselves and everyone across the country that we’re still here. 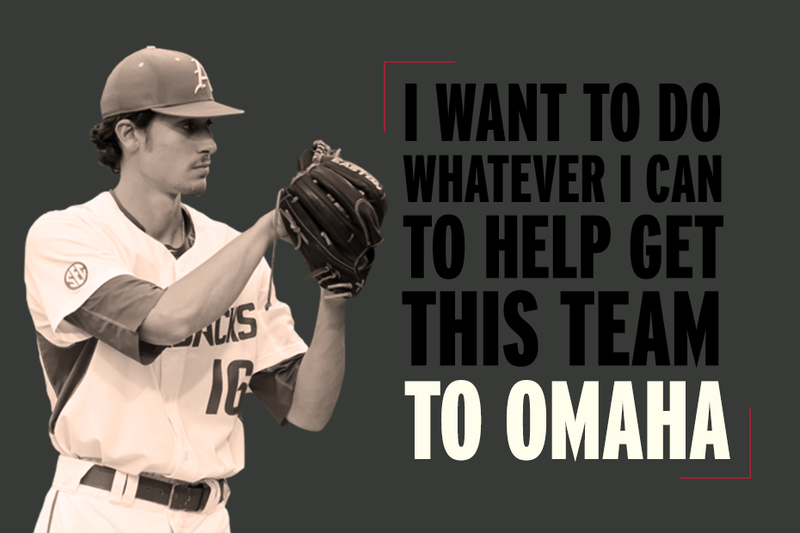 Arkansas Baseball has been and always will be elite and I want to do whatever I can to help get this team to Omaha and bring the first baseball national championship to Fayetteville. That’s why I’ve decided to come back and be a part of the Razorbacks for the 2018 season. 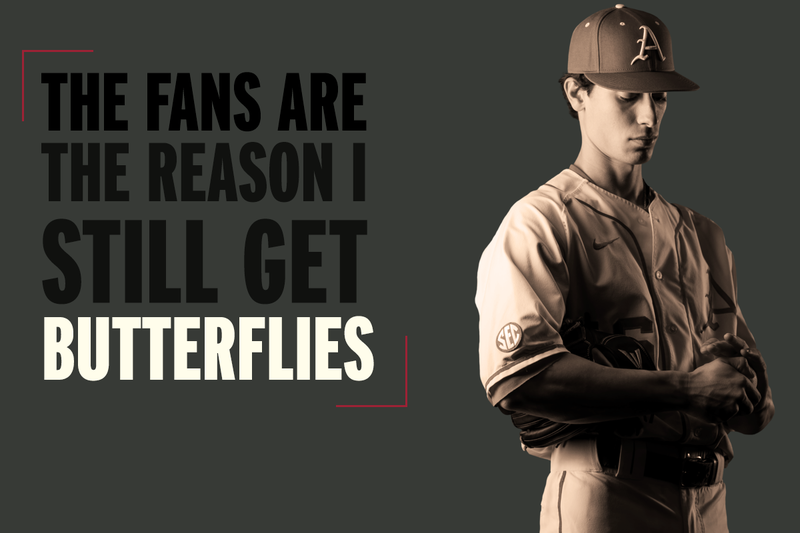 Fayetteville is so special to me and we have the best fans in college baseball. I doubt there is another team in the country that will have thousands of its fans still in the stadium at 3 a.m. in the pouring rain. They are so devoted to us and we appreciate it. This university is the best in the country at providing the skills needed to be successful in life. It’s incredible how it has changed me into the man I am today. Whether it’s over the next two years or in the future, I will finish my degree and that’s something I can be proud of. I’ve accomplished a lot of goals in my short time here, but I have plenty more that still need to be accomplished. Everyone has told me a trip to Omaha is an experience like no other. I plan on achieving that goal next season and bringing the rest of this state with me. We’ll see you in Omaha!